When you wake up tired or experience that post-lunch haze what do you go to for energy? Chances are you reach for a coffee, an energy drink, or some kind of energy supplement. The side effects of these methods are well-known and the post-caffeine crash is a notorious low. Yet we still use the same methods to find energy to get us through the day. Natural vitamins can also give us energy without the crash or the uncomfortable side effects. Natural vitamins are a great, healthy way to get energy. Instead of adding something to your body – i.e. caffeine – to get energy and later crash when it is metabolized, vitamins work with your body to provide energy. 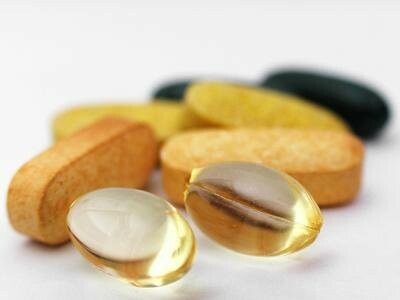 Vitamins supplement what you eat and help your body be stronger and more efficient. They combine with and make your body’s natural efforts more efficient, helping your body create its own energy giving you a healthier and more stabilizing feeling that will last throughout the day. Researching vitamins can also be a wise practice to what which ones will best benefit your health needs. Different vitamins have different effects on the body. You can ask your pharmacist or you can go online and research companies like Melaleuca Product Reviews or other companies that sell health and wellness products. B-vitamins are well-known vitamins for energy. These vitamins support the production of red blood cells and cell metabolism. They affect how our bodies convert food to energy, so they are essential in keeping our energy levels from dropping. Signs of Vitamin B deficiency include fatigue, weakness, anemia, and digestive problems. Choose Vitamin B12 or B Complex vitamins, and be on the lookout for vitamins with adrenal support. Iron is key to brain function, muscle contraction, and energy production, so it is no wonder why iron can help give you energy. Iron is also important for energy because it helps deliver oxygen to our muscles and organs through the bloodstream. Oxygen is essential to running our bodies, and without it our bodies cannot function properly, causing fatigue and energy loss. Low iron in the blood is called anemia, the symptoms of which include dizziness, fatigue, and pale skin. Ginseng is not only good for the immune system, it is also a powerful supplement for energy. It works through “ginsenocides,” the chemical structures of which resemble human hormones. Ginseng, then, helps regulate hormone production, which in turn influences blood pressure, insulin production, and metabolism. Smoothly-running systems help keep our energy up. Natural vitamins are a healthy way to get energy without the crash or the side effects. Instead of adding a chemical to your body, vitamins and supplements support your body’s natural function and help it create its own energy. Next time you feel tired or groggy, leave the coffee and energy drinks and try reaching for some natural vitamins instead. Natural vitamins are really good compare to other supplements. It’s good to know ginseng is powerful supplement for energy. We will refer this to our friends. Thanks for the information.